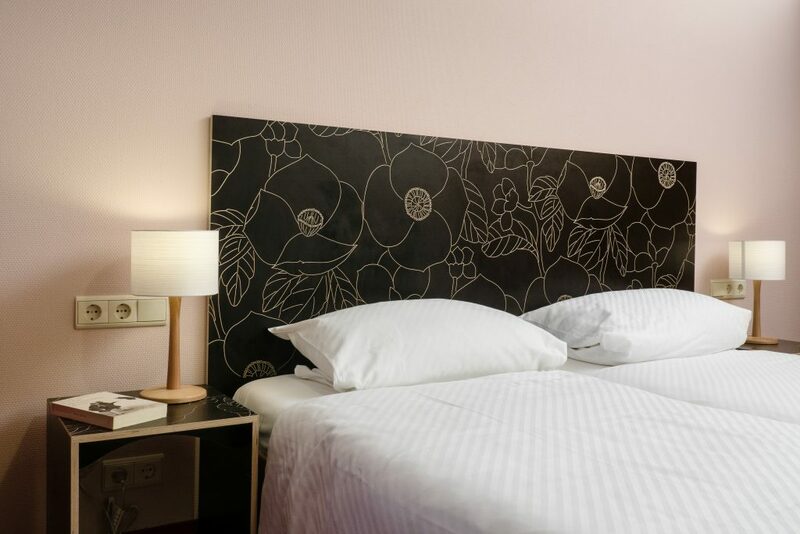 Hotel Aigner is located in the traffic-calmed old town of Bonn, a few steps away from the pedestrian zone and underground station, near the Rhine and Beethovenhalle. 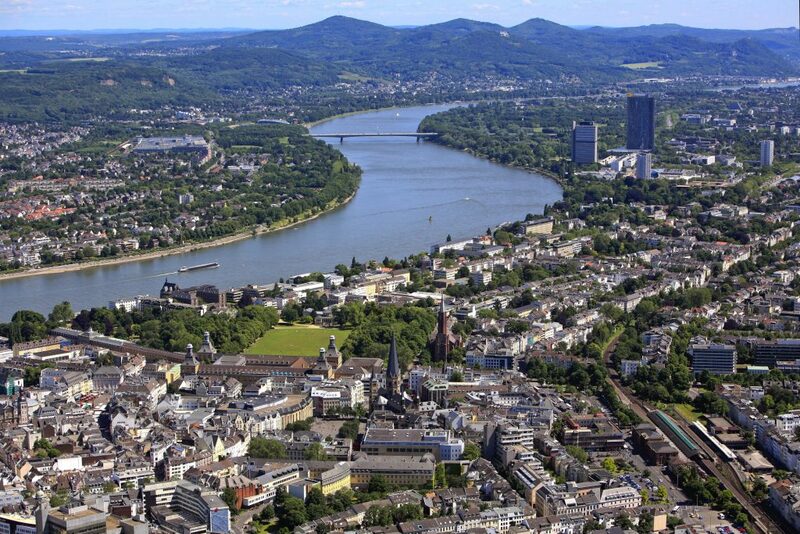 Bonn‘s old town is a colourful, lively district with buildings from the Wilhelminian period. There are cosy restaurants, special shops and museums. 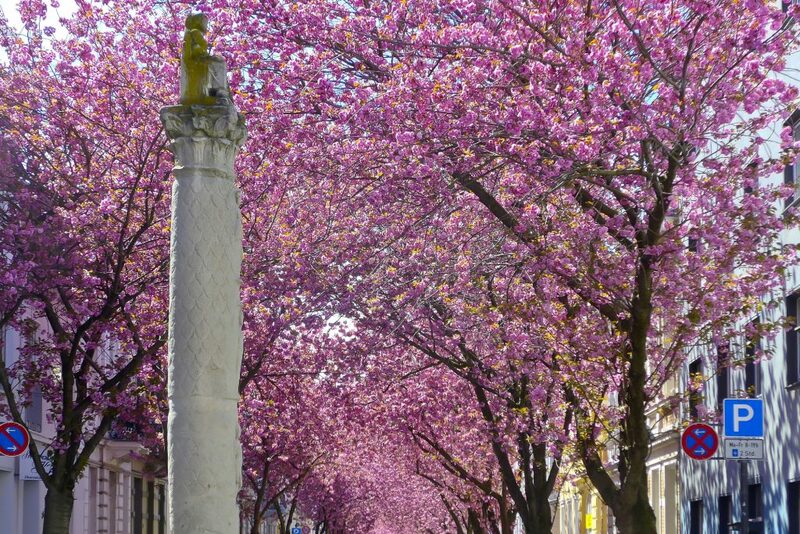 Especially beautiful is the time of the cherry blossom in early/mid-April! All rooms are equipped with shower and toilet, free WIFI, cable TV, and a Bluetooth radio to play your favourite music. Each room has a small fridge and a kettle, where coffee and tea are also available. Baby cots are available on request. Why not‘try: Our two-room apartments – either as an inexpensive alternative to two single rooms or as an ideal family offer. Two single rooms (one of them with combined kitchen and dining area), each with a TV set, are connected by a small hallway. They share the bathroom. 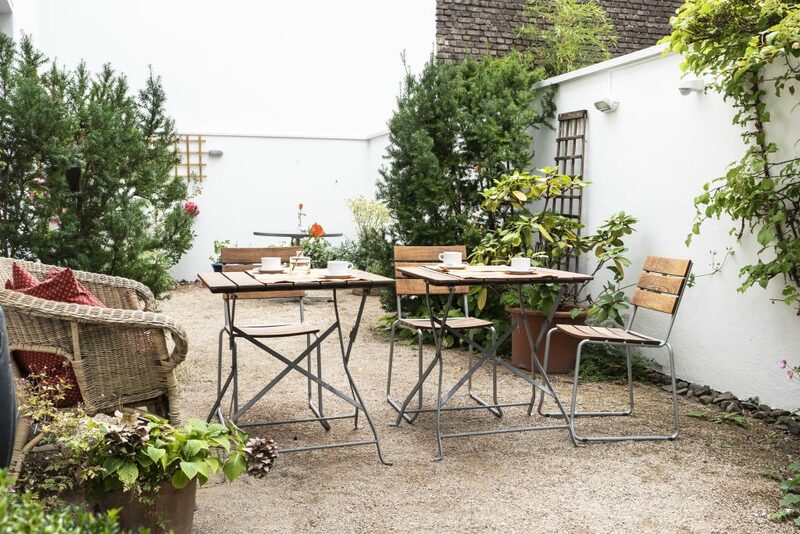 Enjoy our delicious breakfast – in summer also in the green inner courtyard: with different kinds of bread and cheese, sausage and ham from the organic butcher Müller, cereal, fresh fruit, eggs from the organic farm Alpermühle, special teas, fair coffee, cocoa, milk coffee or espresso. When selecting for our buffet, we pay attention to regional, seasonal and fair trade products. Late risers can have coffee at our small hotel bar. Your Bonn friends or relatives are also welcome to have breakfast with you. Our reception is open 24 hours a day. Our guest card offers you various discounts in Bonn. The hotel has a meeting room for about 10 to 12 people (23m‘z). Parking: If you arrive by car, you can book a parking space when making your reservation. Bicycle rental: You can rent a bike directly in the hotel and thus explore the old town and the surroundings of Bonn in a relaxed way. When booking on our homepage you will receive a ticket for bus & train and the airport bus for the entire duration of your stay.